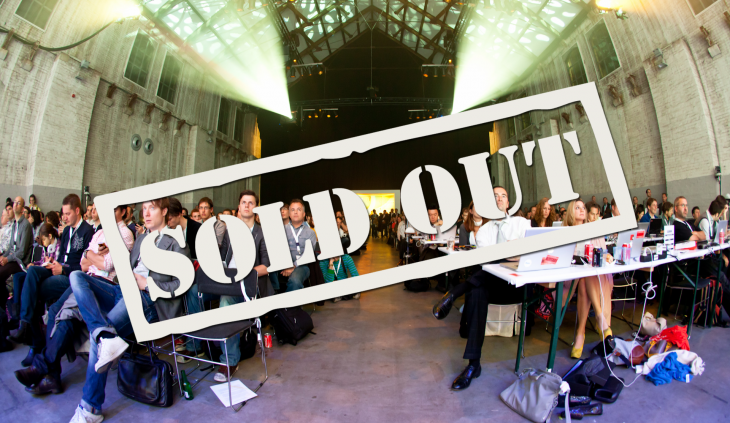 The Next Web Conference Europe has Sold Out! The 8th edition of The Next Web Conference Europe has sold out! More than 2,000 online professionals will join us for this inspiring and dynamic event next week, in Amsterdam, The Netherlands. This year there are 35 international keynote speakers, 20 startups launching at the event, four live TNW Academy classes and 22 hacks that will be created and presented during the conference. The conference will be opened by the Prince of Orange and will host other big names including Tim Ferriss (investor in Twitter, Facebook and Uber and author of “The 4-hour…’ series of books), Kevin Hartz (CEO of Eventbrite), Stephen Wolfram (Wolfram Research CEO), Gary Shapiro (CEO of Consumer Electronics Association and author), Jimmy Maymann (CEO of The Huffington Post), Robert Scoble, Loic Le Meur and many more. If you haven’t got a ticket, you’ll lose a lot of business opportunities, but we’ll bring you the best of the event right here on TNW. You’ll get another chance to join us at other events later in the year.